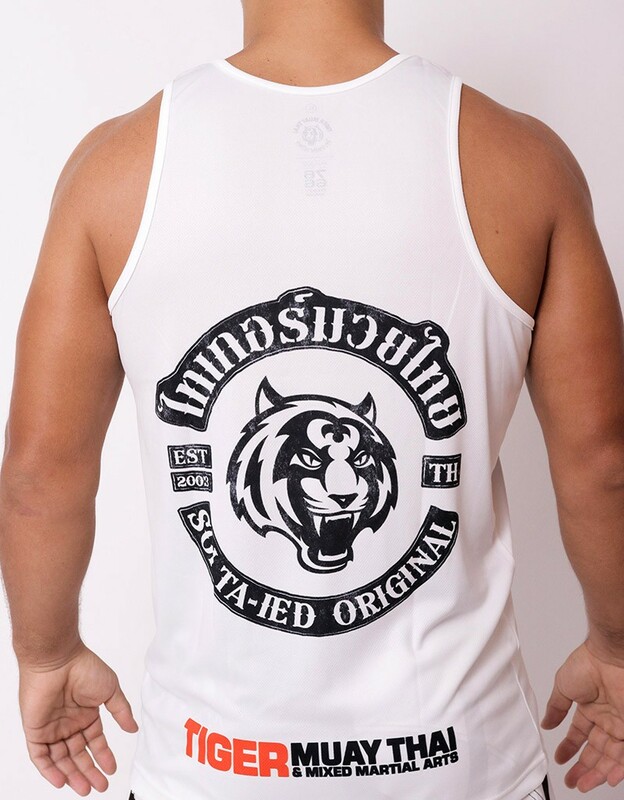 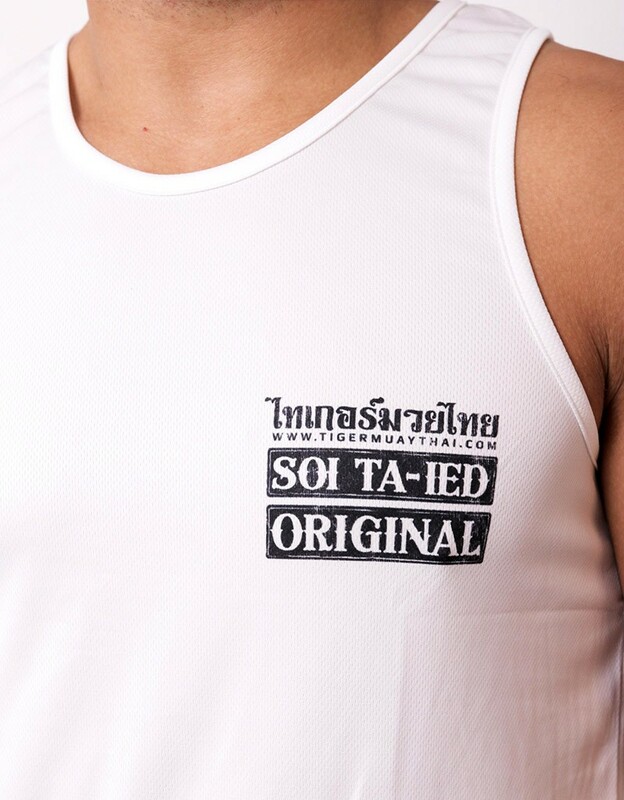 Tiger Muay Thai "Soi Tad-ied Original" Tank-top in White. 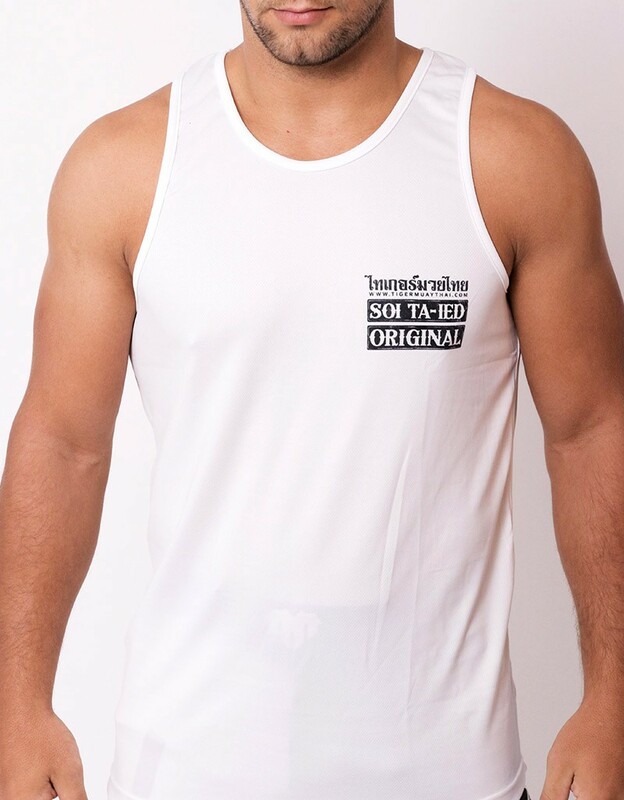 This tank is in a dry-fit style material called "Soft Tech" that is a slightly meshed fabric, breathable and dries easily. 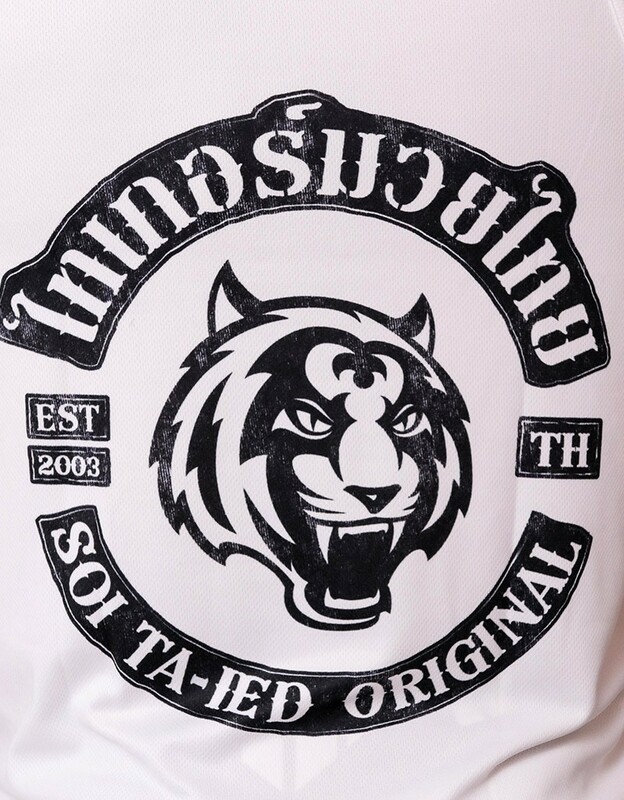 All prints are sublimated.